Jamaican black castor oil and clear castor oil are two very powerful allies when it comes to conquering hair loss and promoting hair growth. 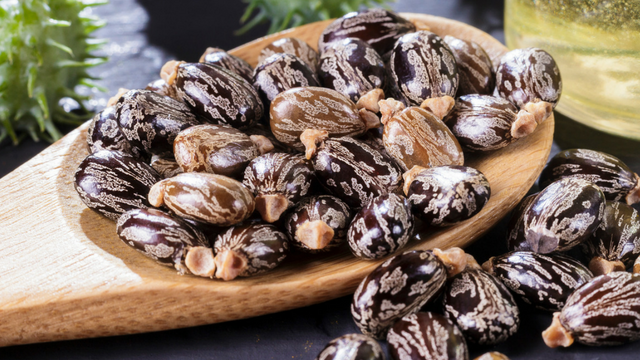 Thickening your strands with castor oil and How to Grow Longer & Thicker Hair with Jamaican black castor oil covered this topic in great detail. 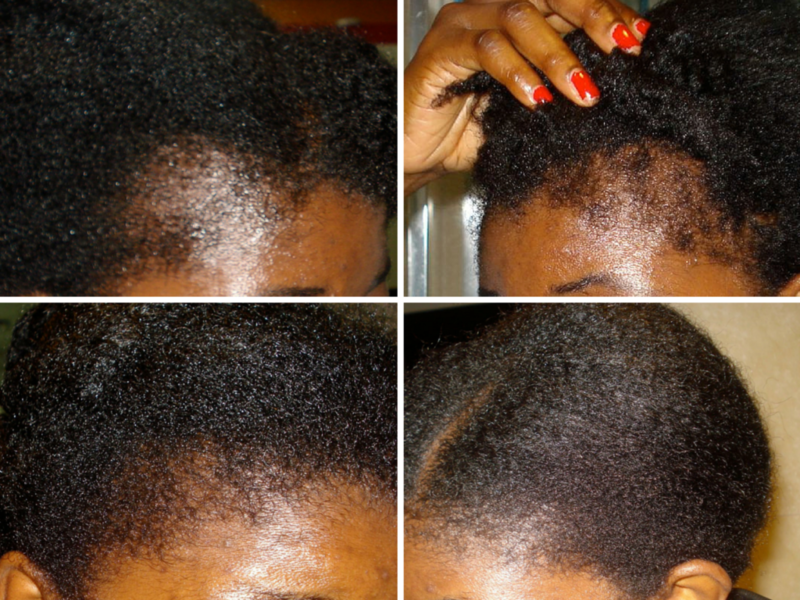 In this article, I will share my best tips for promoting hair growth with Jamaican black castor oil, Jamaican black castor oil for hair growth before and after pictures as well as the complementary products I included, which gave me faster and better results. Jamaican black castor oil is one of the primary tools I used in my fight against bald edges brought on by leaving tight braids in too long. Additionally, Jamaican black castor oil can also treat hair loss issues brought on by over manipulation, tight ponytails, tight extensions and wearing wigs for extended periods of time among other things. Before I incorporated Jamaican black castor oil and other natural oils into my hair care regimen, I tried a variety of things which didn’t work. I tried juices and berries and potions and unicorn tears – all a big waste of time and money. 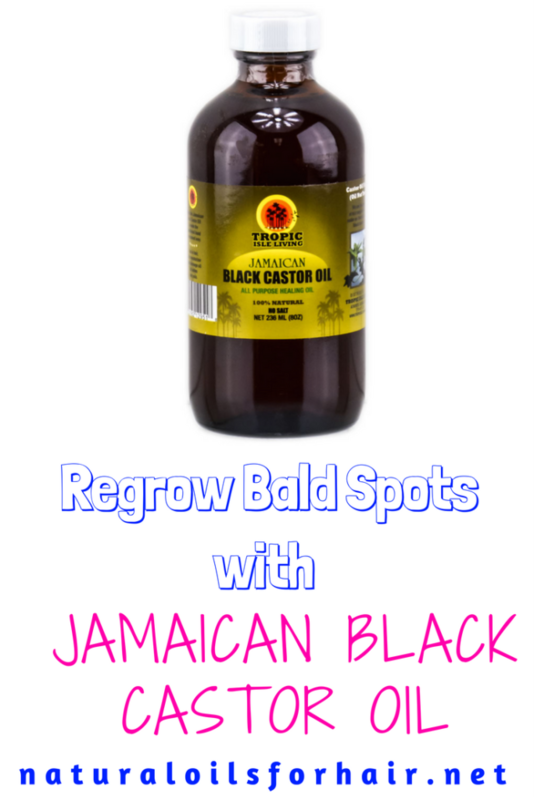 I discovered Jamaican black castor oil while carrying out research into hair loss and decided to test it out. After 9 months, the results were outstanding. Below are some of my progress pictures. The improvement on the right side is just phenomenal. I became a natural oil for hair advocate soon afterward. While Jamaican black castor oil went a long way in promoting my hair loss recovery, I also added a few things in there to bolster my efforts. They were a few key things I identified and isolated during my research and they all worked together to produce the phenomenal results above. I exercised regularly. I went into the science of this in great detail in The Ultimate Hair Growth Guide. I have limited time so my home workouts work best for me. Some of my favorites include Beachbody Home Workout Programs like Shaun T’s Insanity, Chalean Extreme, T25 & P90Xand Jillian Michaels Programs. Regularly being every day but 3 – 5 times a week should be fine as well. I took a general multivitamin every day although this may not be strictly necessary. However, I had a vitamin D deficiency then. Check with your doctor before you start taking a general multivitamin or hair, skin and nails vitamins. I drank bamboo leaf tea every day. Bamboo leaf tea is caffeine free and rich in silica. 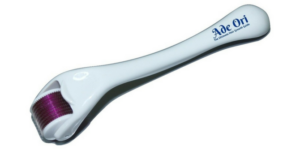 It also helped clear my skin and grow out my nails by the way. I drank 3 cups every day but you can drink more if you like. For more on this, read Bamboo Leaf Tea for Hair Growth. I massaged my scalp for 10 minutes every night with a special blend of Jamaican black castor oil especially targeted for hair loss problems. Sometimes I heated the oil slightly before the massage. I also leaned over while massaging because I was lazy but discovered, later on, I was practicing inversion. Read How to Practice Inversion for Hair Growth. Derma rolling my scalp 2 – 3 times a week. Derma Rolling Bald Spots for Hair Growth explains this in greater detail. This is my no 1 recommendation for regrowing bald spots in The Ultimate Hair Growth Guide as well. Following the five steps outlined above helped regrow my edges in less than a year. My edges are perfectly fine these days but I still engage in scalp massages at least once a week because they’re quite relaxing. If you’re having trouble with bald spots, bald napes or thinning edges and nothing seems to be working, you should give this method a try for three-six months. Remember, patience and consistency are key! Beware of manufacturers that artificially darken clear castor oil to give it the appearance of Jamaican black castor oil. 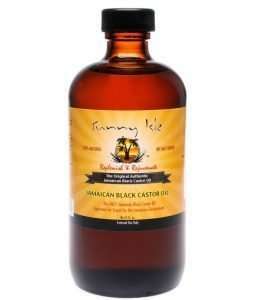 Authentic Jamaican black castor oil has a smoky, toasty smell with a hint of ash. 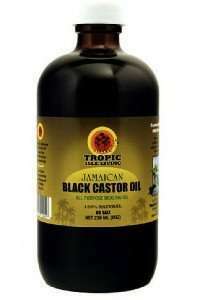 The best two brands of Jamaican black castor oil are Tropic Isle Living Jamaican Black Castor Oil and Sunny Isle Jamaican Black Castor Oil. If you enjoyed this post, you’ll be interested in The Ultimate Hair Growth Guide, a comprehensive tool featuring over 15 methods for recovering from hair loss, regrowing bald spots and filling in thin areas of your scalp. There’s a whole chapter in there dedicated to derma rolling effectively as well as preservation techniques. See more about it HERE. Thank you for your article and wonderful information. Do you think this will work on a woman who is not of african descent. Hello Ginster, thanks for reading. Yes, this will work on someone not of African descent but you will need to wash your hair with a mild shampoo the next morning if you have fine hair. HTH. Dear Writer, thanks a lot for this amazing article. Currently I have a problem with my left edge. I’ll like to show you a photo of it. I just purchased the finest cold drawn Castor oil less than a week. Thanks in advance of a favorable response. I’ll love to engage in a conversation with you pls where I can show you photos of my scalp and could see if there’s any chance of recovery.